Unknown vs Max Romeo, Serial Killaz, Jinx In Dub, Turn Table Dubbers, Ricky Tuff and more. 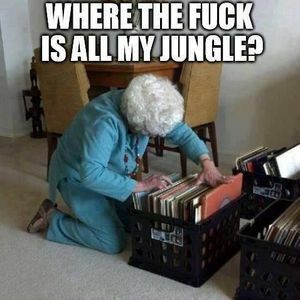 a new reggae jungle set for 2014! some new and old tunes mixed up. 100% vinyl selections. Massive !! big selection !! Name of the track ( remix bad boyz ) launch 58:40 please ? Haha I love the cover pic! Thanks funkbudha;jah;funktion :) Glad to hear you like the vibes! Big Up!! wicked.... Lookin&apos; forward to more ! Big Up Will Rush! Thanks :) yeah plenty more mixes to come!! Cheers John! yeah back with a reggae jungle vibe&apos;s pure sun shine and smiles :) Big up and thanks! !